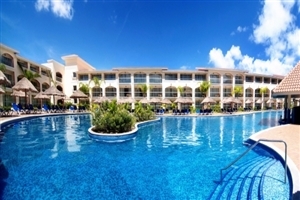 Located on its own pristine stretch of beautiful beach, Sandos Playacar Beach Resort is a superb family-friendly Caribbean holiday resort. 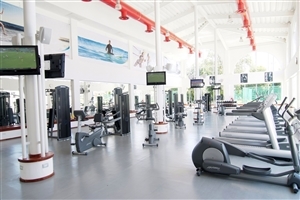 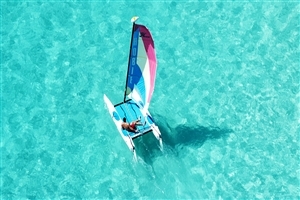 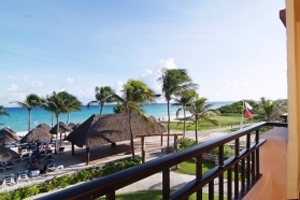 Treat the family to Cancun holiday they will never forget with a stay at Sandos Playacar Beach Resort, with its comfortable and spacious accommodation, fabulous choice of dining options and excellent facilities, which include a pampering spa, watersports and swimming pools. 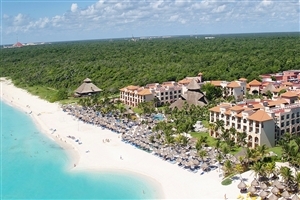 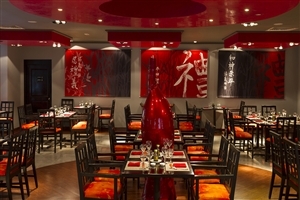 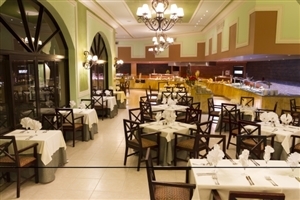 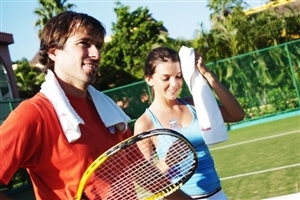 Sandos Playacar Beach Resort is also well placed close to the ancient Mayan civilisations of Tulum. 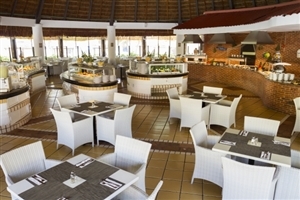 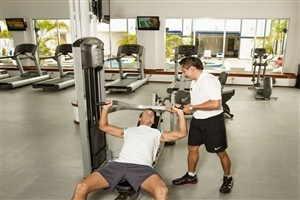 From the comfortable accommodation, to the excellent gourmet restaurants, Sandos Playacar Beach Resort is proudly considered one of Playacar’s most revered resorts. 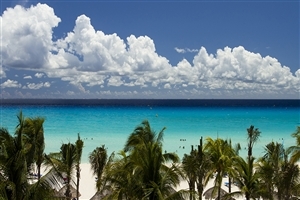 Sandos Playacar Beach Resort is 45 minutes from Cancun International Airport and is ideally located to explore the ancient Mayan civilisations of Tulum. 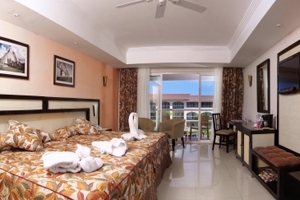 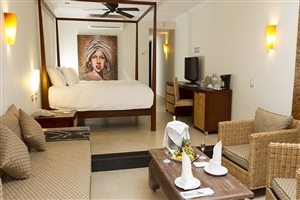 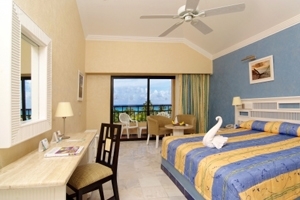 The Standard rooms at Sandos Playacar Beach Resort are available with a king-size bed or two double beds, and come with either a garden or partial ocean view. 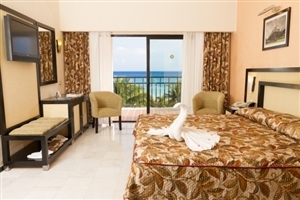 The Superior Ocean Front at Sandos Playacar Beach Resort is available with a king-size bed only, and includes standard bathrobes, shower cap and body lotion, plus fabulous ocean views and special VIP treatment. 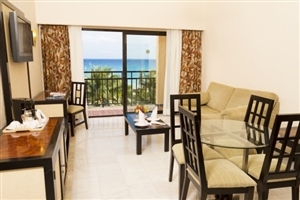 The Select Club Junior Suite at Sandos Playacar Beach Resort offers a spacious living area, plus a Jacuzzi tub and an airy balcony or terrace. 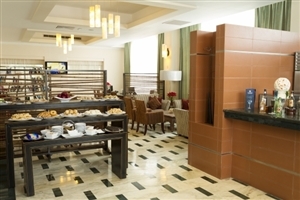 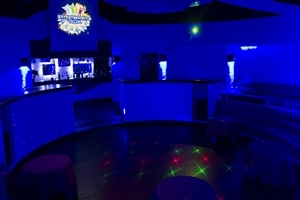 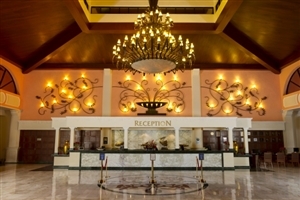 The Select Club suites are available to adults-only (21+). 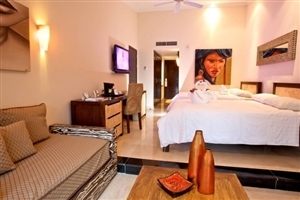 The Select Club Master Suite at Sandos Playacar Beach Resort offers a relaxing ambience and contemporary Mexican-inspired décor for your pleasure. 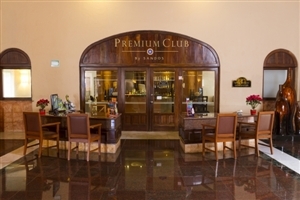 The Select Club suites are available to adults-only (21+). 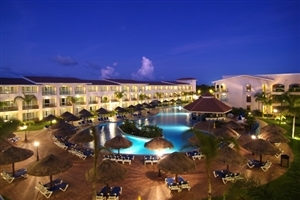 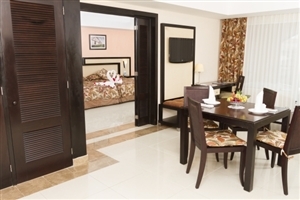 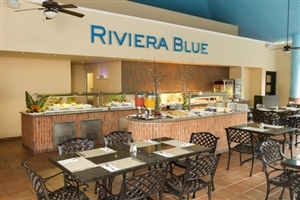 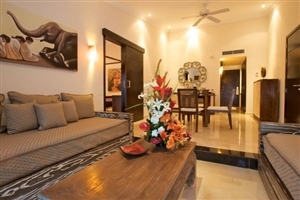 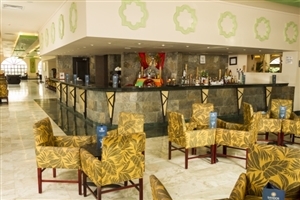 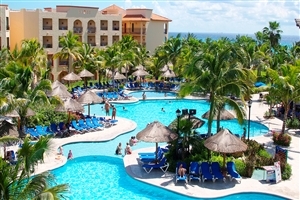 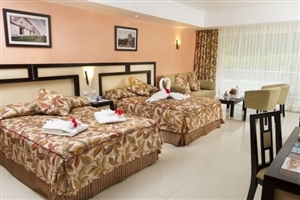 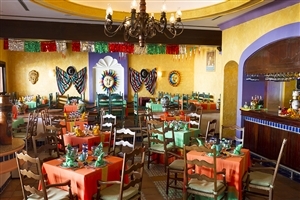 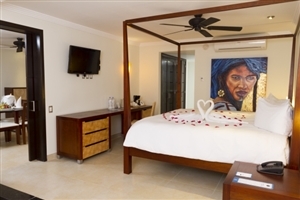 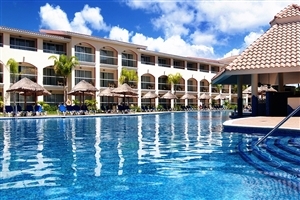 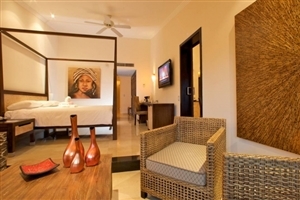 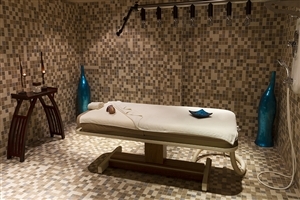 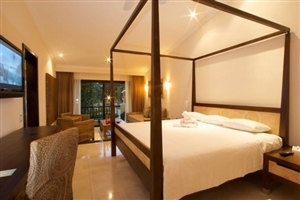 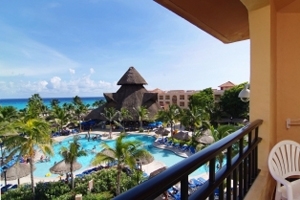 The Royal Elite Hacienda Junior Suite at Sandos Playacar Beach Resort is located in the centre of the resort and is available with a king-size bed or two double beds, plus a living room with a sofa bed and an indoor Jacuzzi.